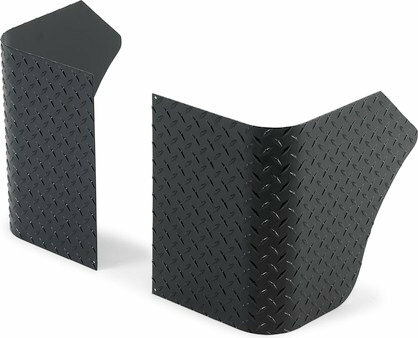 REAR CORNERS Rear corners have a material thickness of 1/8", and not only provide structural support to the corner area, but enhance the appearance of the vehicle too. Available in four exterior finishes, these corners are long lasting and durable. Sold in pairs. Note: Rear corners will not fit Renegade and/or Sahara Wrangler trim packages, nor Aftermarket fiberglass bodies.